"அதிகப்படியான கேட்ஜெட் உபயோகத்தின் காரணமாக , என் மகளுக்கு வலிப்பு ஏற்பட்டது" என்கிறார் ஒரு தாய். அளவுக்கு மிஞ்சினால் அமுதமும் நஞ்சு.இருந்தாலும், அதிகப்படியான கேட்ஜெட் பயன்பாடு குழந்தைகளுக்கு வலிப்பு உண்டாக்குவதற்கான சாத்தியக்கூறு பற்றி யாருக்கு தெரியும்? 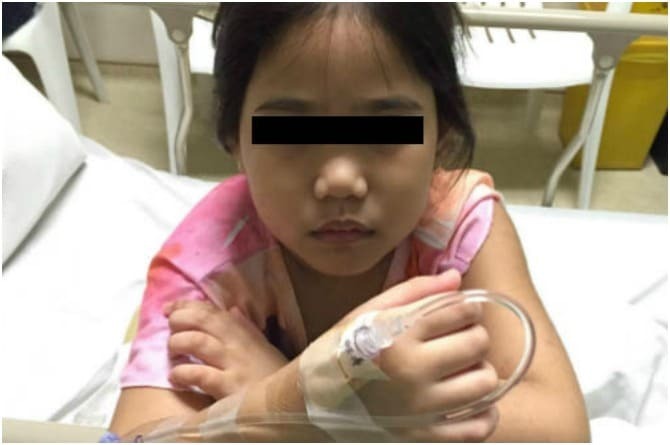 In the latest Facebook article, the mother of the Philippines Marigon Molvizar, his daughter, Michel, shares with us the experience of seizures due to excessive gadget usage. "Mama! I can not move left hand"
Marikon According to the "June 27, 10-11: 30 pm in size, Mikaela loudly for help, screaming screamed. Roaches looked afraid thought marikon, Mikaela his name aloud katiyap's still terrified. Her bathroom, naked (and just after bathing), epilepsy suffered parttaltatukki Think of the consequences of falling falls Well, the evidence and evidence for this is not visible to the eye. Sitting the baby in the bed and asking what was patience, she said, "mummy, I can not move the left hand." In case this incident did not happen, it was a great concern for Marío. Asked if she could move her fingers, she could not move her finger. A few minutes before the hand was silenced, Michala was playing with her earrings. At about 12:30 am on June 28, Mikhela was taken to the hospital. Marigon was eager to know the cause of this stimulus. All experiments such as X-ray were tested to check CT scan and internal injuries. Brain examination, such as EG and MRI. One of her doctors, the baby neuroscientist, said that the seizure was due to the use of a high glycemic mixture. At the beginning of the summer holidays, if you keep watching iPod or TV without entertainment, Michelle. Marigon allowed her daughter to use gadgets, due to end her career. Marigon blamed himself for the incident that happened to her daughter. Since he was busy in his home office, he allowed the baby to use the gadget. Fortunately, after that incident, Michaella did not have any fitness. After applying her prescription, the gadget was only allowed up to 2 hours per day. With the use of gadgets, Mickell has begun to think about other ways of entertainment. Marigon believes that a good lesson for parents is not to allow the use of gadgets too much.